Our weekly Saturday Block Party crew sharing their love and gratitude. 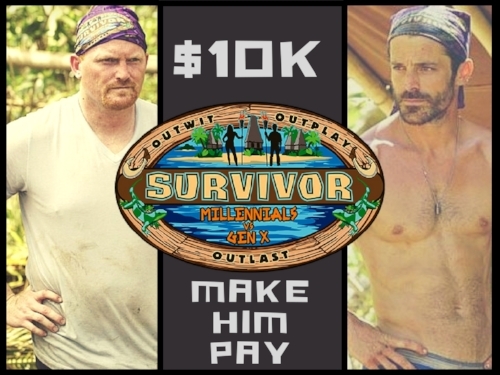 Donate below to join the tribe and make Survivor Contestant, Chris Hammons, pay! If we raise $10,000 or more SURVIVOR Contestant, CHRIS HAMMONS, will match our $10,000! homelessness in communities across the country. Donations of $100+ will receive autographed SURVIVOR memorabilia from contestant, Ken McNickle!
! !Click Here To Donate Today!! With our Amazon Wishlist we make it easy for you to donate specific goods to any of our programs. Just a couple of clicks and you can send your gifts to those in need. We have a prioritized list that helps you know what we're most in need of but find out what fits best for your budget and know that everything helps. Thank you for your help! Click here to see our Wishlist!! The beautiful imagery you see throughout our website is mostly contributed to the talents of Asa Dyer, a local photographer based here in Denver. A talented artist and a good man, he has donated his time to our cause and we couldn't be more thankful for who he is and what he does. 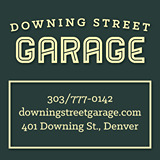 Not only is this the best auto shop I've had the pleasure of working with as a car owner but owner Ben Burns and his crew have stepped up in a big way to offer their services in finding and fixing a suitable truck for our mobile donation center. To top it off they've also donated $2,000 dollars to the project!!! Give thanks and give them your business. You can't go wrong. Starbucks has been a huge help for our Winter Warmer project, donating the coffee for all of our Saturday meet ups. They've been more than generous and their coffee is often the highlight for a lot of those in need of something warm and it has also acted as a catalyst for conversation and some of our best videos for the CUPPAJOE series. Goodwill has been a huge help in donating blankets, sweaters, jackets, shoes and so much more! They've been our top contributor as far as material goods and usable items. Thanks to them many are warmer today than they were yesterday!